Discover here our selection of folding pocket knives, small or large, Thiers, Laguiole or Brin d'Auvergne. Discover our selection of high quality table knives that will accompany your meals. Do not fool yourself: only the "K" followed by the name Sabatier can guarantee that these knives come from the direct descendants of Philippe SABATIER, knife manufacturer in BELLEVUE - THIERS at the beginning of the 19th century and which is at the origin of the success of the brand. The 8th generation still manufactures knives K SABATIER forged by SABATIER AINE & PERRIEi in Thiers (France). This distinction of state unique in France awarded by the Ministry of Industry rewards the excellence of the French know-how and manufactured in France. The EPV labeled houses are characterized by the possession of a specific economic heritage, the implementation of a rare know-how based on the mastery of traditional techniques or high technicality as well as the notoriety and age of their establishment. 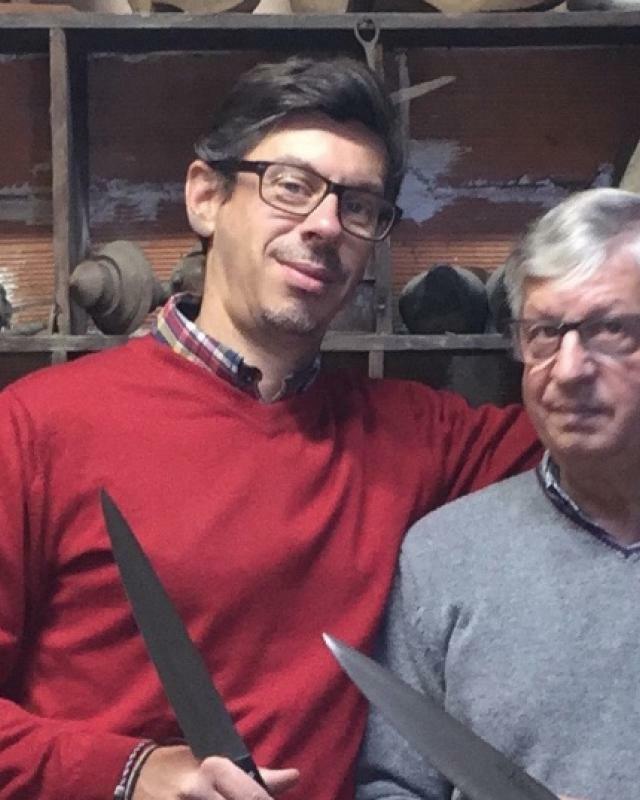 - For us, K SABATIER, it's a family story for 8 generations and more than 200 years of knife passion.